There are a number of sources for guidelines. 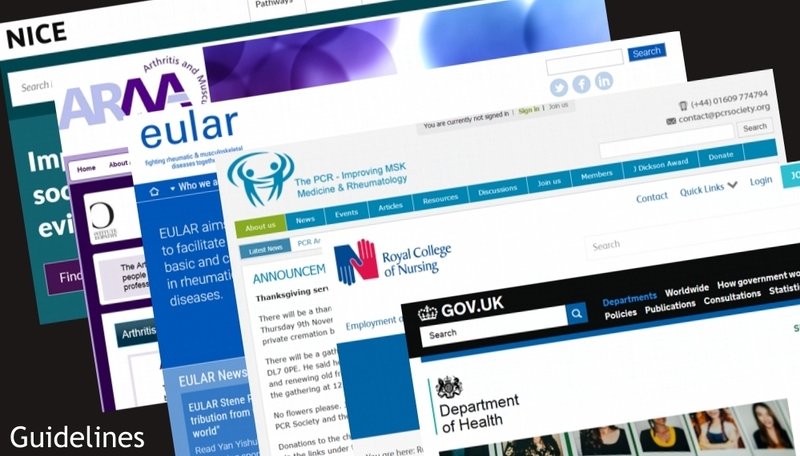 The guidelines outlined on this site are chiefly focusing on rheumatology. For advice on professional or general nursing issues you should see the Nursing and Midwifery Council website (www.nmc-uk.org)and the Royal College of Nursing (www.rcn.org.uk) or the Chief Nursing Officers website at www.doh.gov.uk.